It was a beautiful day at Newtown Park for the City of Johns Creek Annual Pup-A-Palooza! 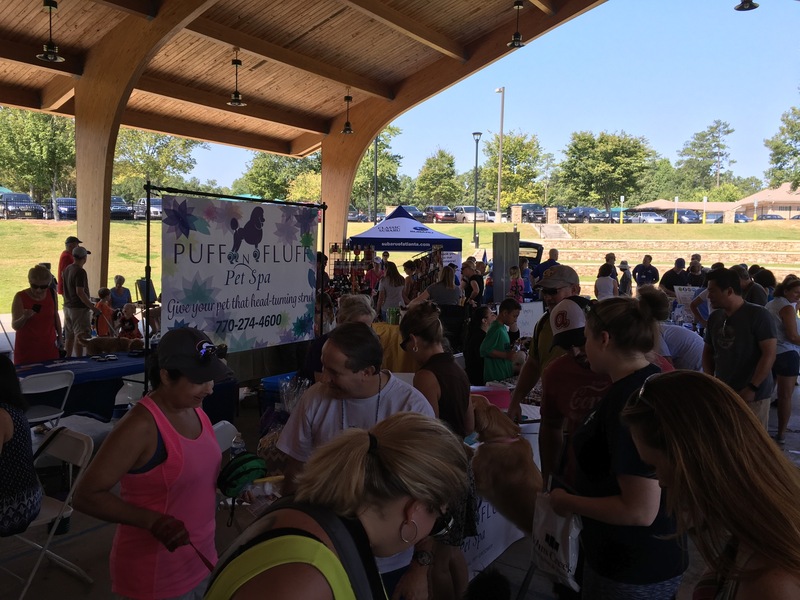 We had a great time as families and their dogs enjoyed live music, caricature sketches, and a variety of activities. 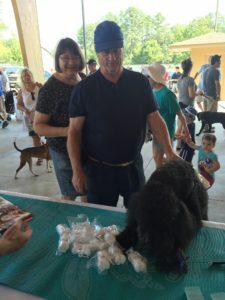 Prizes were awarded for Best Dressed Dog and Best Dog Trick. Mattie Boy Doodle came by our Puff n Fluff table to savor a delicious Pup Cake! 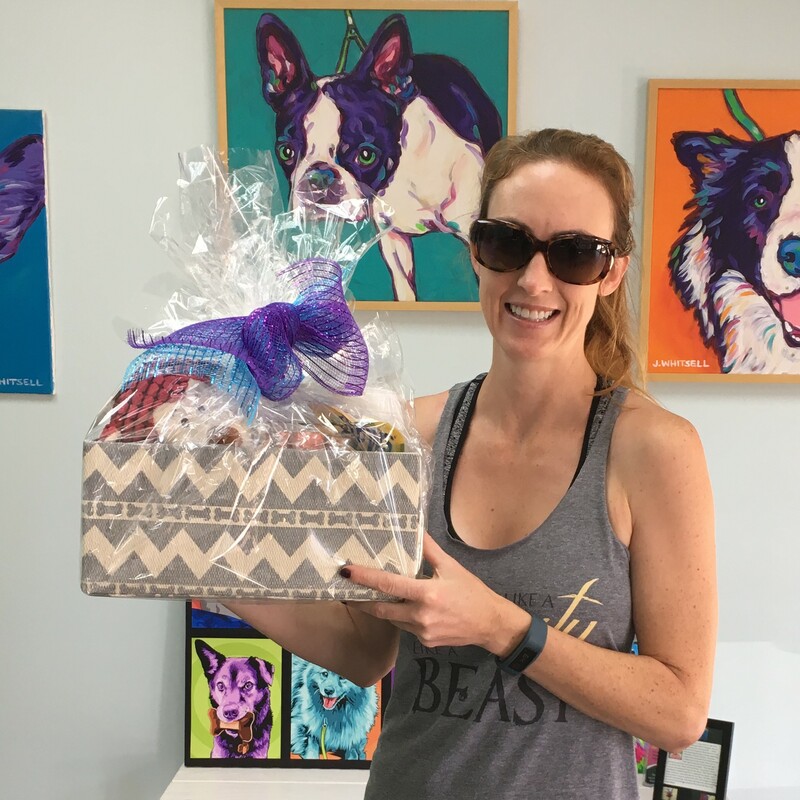 Congratulations to Dian G., Raffle Winner of the Puff n Fluff Pet Spa Gift Basket and Gift Certificate.